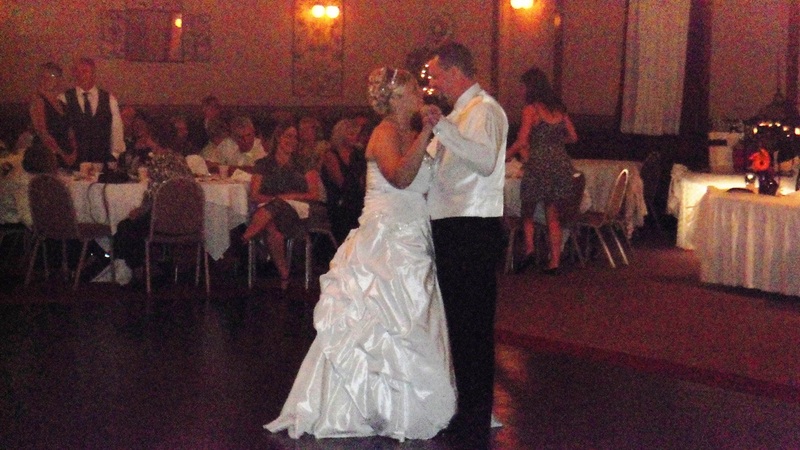 The PA Wedding DJ, one of Pennsylvania's Premier Wedding DJ's, will elevate your wedding into a jubilant celebration. I have earned my reputation by delivering exactly what a Bride and Groom expect from their Wedding DJ on the most important day of their lives! It's the ability to DJ & MC the event, make all announcements with style and class, and manage each event at the Reception so it comes off smoothly. And it's the ability to motivate all ages to Dance, and have FUN! When you hire me you get a true Professional with over 28 years experience in the Wedding and Entertainment business. I carry liability insurance and have modern sound and lighting equipment. I prefer to let my reputation and client reviews speak for the amount of customer satisfaction and the attention to detail that I provide. I give my customers unmatched value by combining experience, professionalism, and high quality, at an affordable price. I arrive early and will be ready to start on time. I will be professionally dressed, and I bring a complete back up system with me. I look forward to the opportunity to earn your trust and your business, and to provide you with the Wedding Reception of Your Dreams. I understand that this is huge decision. I’ll act as your reception coordinator and take care of every detail, so you are able to enjoy your reception, and not worry about the small things. I’m available to answer your questions, and offer expert advice about how to make your event truly memorable. I specialize in providing a customized reception to reflect whatever your style may be, while keeping it elegant, fun, and entertaining! Venues include, The Atrium, Carnegie Museum, The Circuit Center & Ballroom, DoubleTree Hotel & Suites, Fairmont Pittsburgh, The Fez, The Grand Hall at the Priory, Greensburg Country Club, J. Verno Studios, Mayernik Center, Omni William Penn Hotel, Pittsburgh Marriott City Center, Airport Holiday Inn, PNC Park, Pittsburgh Parks Conservancy, Pittsburgh Zoo & PPG Aquarium, LeMont, Renaissance Pittsburgh Hotel, Rosario’s Banquet Center, Carnegie Library, Mellon Park, Succop Conservancy, Wendell Inn, 3 Lakes Golf Club, Mansion at Maple Heights, Oldenski Hall, Phipps Conservatory, All Hotels, and many other reception venues in the Entire Greater Pittsburgh Pa area. Island Weddings, Resort Weddings, Beach Weddings, Country Club Weddings, Hotel Weddings, Winery Weddings, Museum Weddings, Black Tie Affairs. and Anniversaries. Chauvet & American DJ lighting. 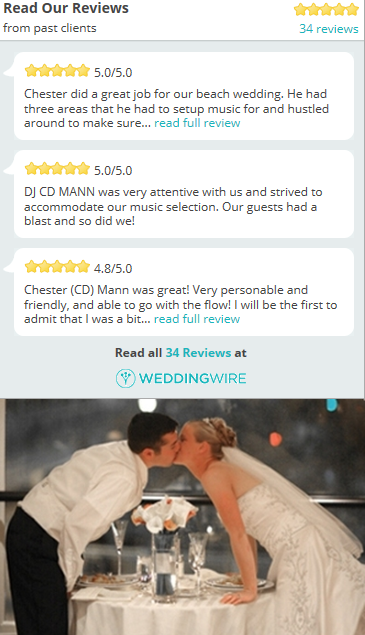 "CD Mann was excellent, He did an amazing job and we highly recommend him! He had the right personality to match the event and got everyone dancing." I use a high quality sound system that delivers clear and vibrant sound. I can also adjust each speaker individually to balance out the sound in any venue. 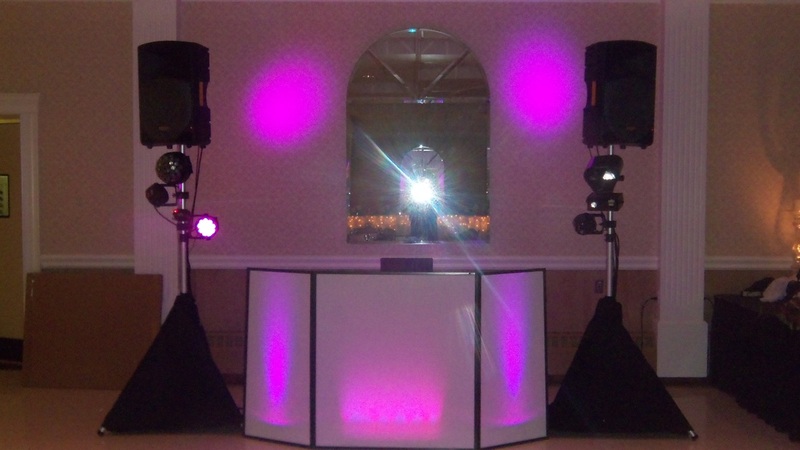 I have my own DJ table to eliminate clutter and my lighting is on the speaker posts to eliminate light stands and allow for more dance floor and table room. Just another way that I set my standards higher than most to provide a better experience. & Westmoreland Counties in PA.
Erie, Butler, & all of Pittsburgh. If you are planning a Destination Wedding in Florida contact me for your Beach Weddings and Receptions.